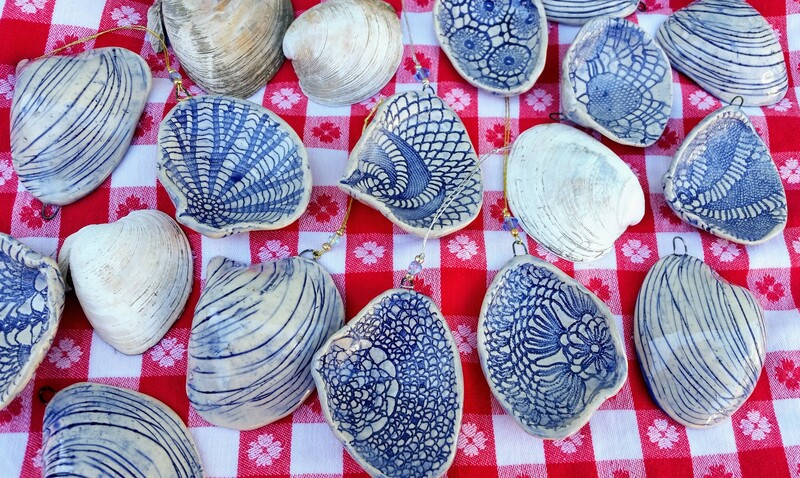 The Sea Clam is a common shell found at RI beaches; this sea clam inspired dish is great for jewelry, soap, spoon rest, or a great memento of Rhode Island, the Ocean State. 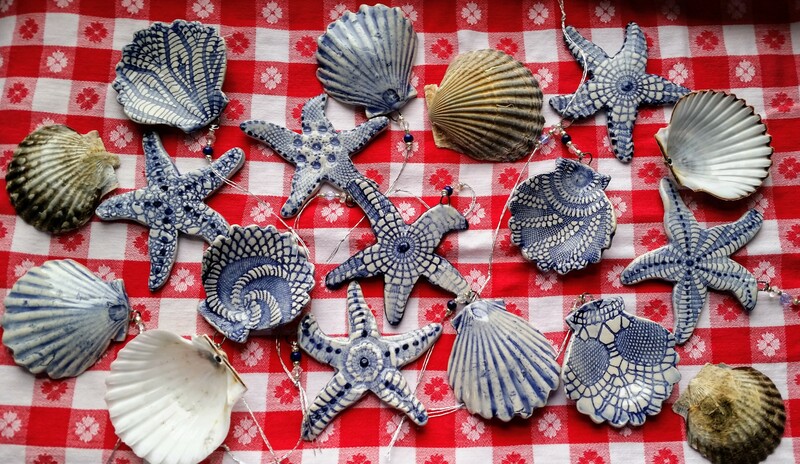 In addition to sea clams, what else can you find at Rhode Island beaches? 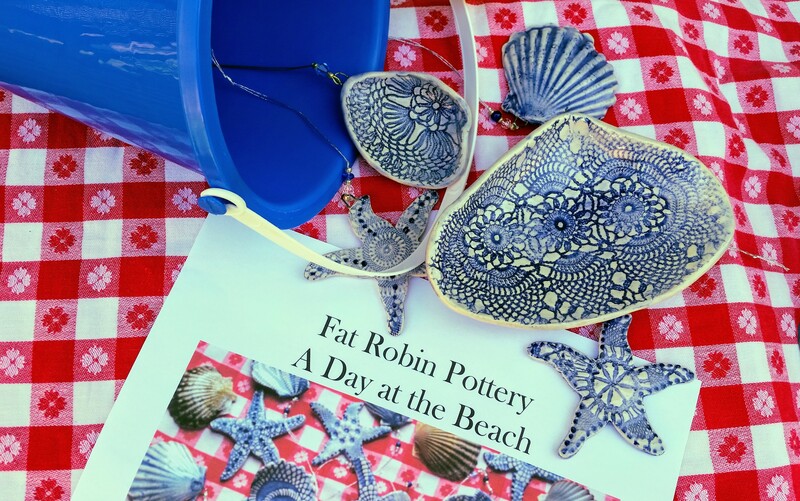 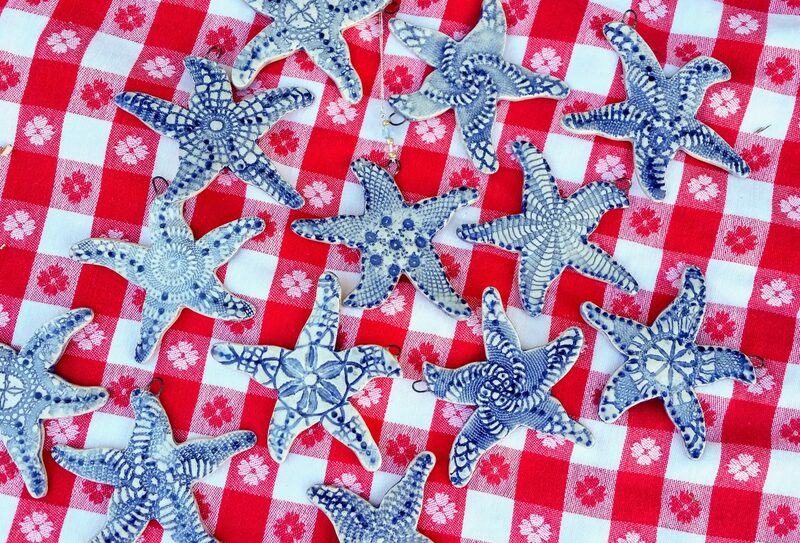 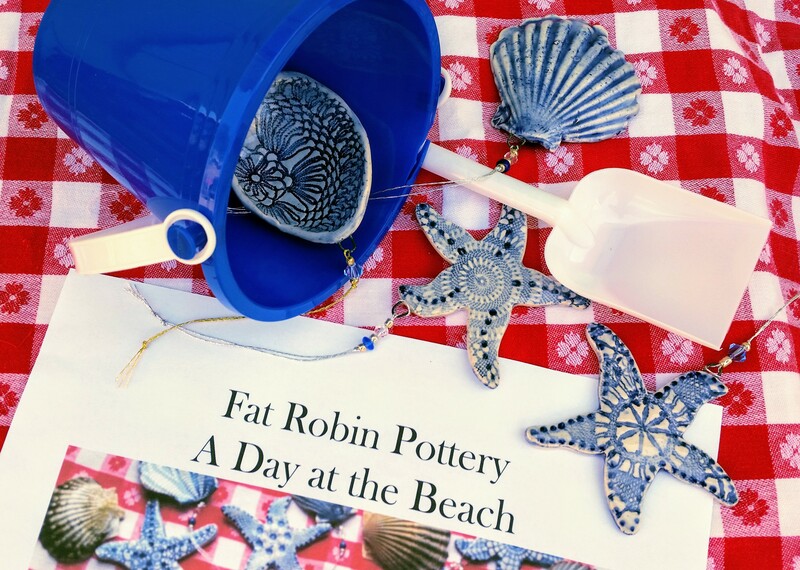 If you are first on the beach in the morning, you might find scallop shells, quahog shells, or starfish. 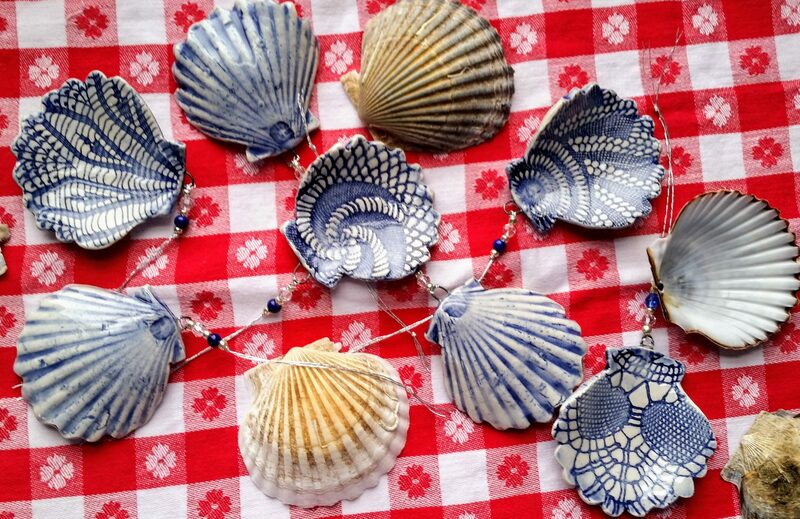 And if Fat Robin Pottery with its vintage lace has been there first, this is what you might find!